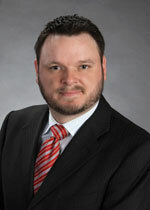 Michael T. Von Lehman is a Senior Manager with Schneider Downs Meridian. Michael joined the firm in 2015, with its acquisition of The Meridian Group and has worked with dozens of companies in multiple industries, providing each client with in-depth analyses and consultation aimed at creating more efficient and profitable companies. A few industries where his guidance has led to financial rejuvenation are manufacturing, distribution, construction and real estate. In addition, Mr. Von Lehman has regularly provided consulting services for parties within the bankruptcy arena such as Trustees, Examiners and Unsecured Creditor Committees. He also worked on many receivership teams including a window manufacturer, a fine fabrics manufacturer, a telecommunications company, and the August Wilson Center. Prior to joining Schneider Downs Meridian, Mr. Von Lehman was a project manager with The Meridian Group, an award-winning boutique management consulting firm. A Certified Turnaround Professional, Michael is a graduate of the University of Colorado with a Bachelor of Science in Economics and earned his MBA from Carnegie Mellon University's Tepper School of Business. He also is currently serving as Treasurer on the Board of Directors for Pittsburgh’s Chapter of the Turnaround Management Association. Michael is also a member of the TMA Global Certification Oversight Committee.